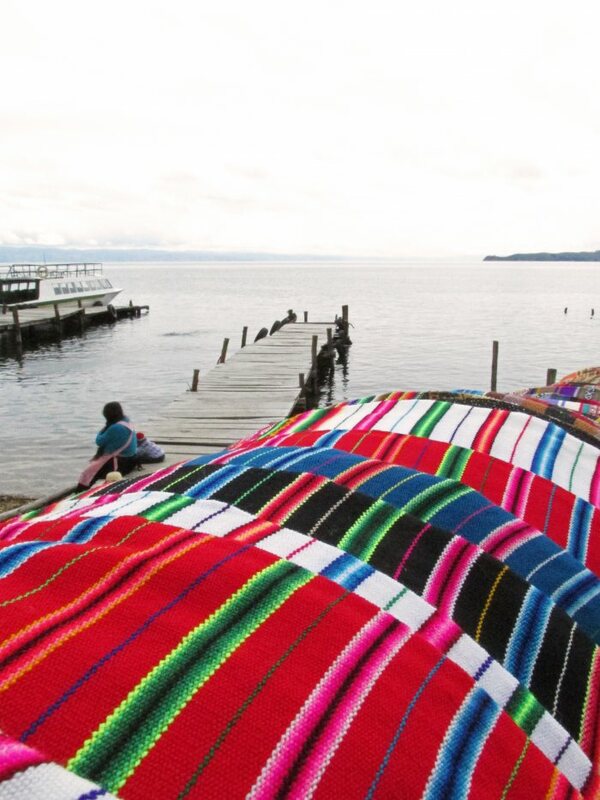 Bolivia is one of the cheapest destinations in the Americas. • Prices for private rooms for two start at 15 USD (13 EUR) in Uyuni, 12 USD (10 EUR) in La Paz, and 10 USD (8.6 EUR) in Copacabana. • Street food is very cheap. Prices start at around 1 USD. Meals in sit-down restaurants are also very cheap – prices for a budget dinner vary from 3 to 9 USD (2.6 – 7.6 EUR). Local dishes are the cheapest. • Transportation prices are very affordable. Public transportation fares within the cities start at 0.15 USD (0.13 EUR). A 3.5-hour local bus ride from Copacabana to La Paz costs 2.90 USD (2.50 EUR). Local buses are often in a poor state of repair, overcrowded and with no heating or toilets. Tourist buses are normally around 5 times more expensive, but they are generally more reliable and much more comfortable. To save some more money, check out our Budget cutting tips. You can find great accommodation options on Booking. Make sure to search for private rooms popular for romance. 😉 On Airbnb you can rent furnished apartments – those are usually cheaper than most hotels and they offer you the real Bolivian experience. In Bolivia, temperatures vary greatly by region and altitude. The dry season (winter season) runs between May and October. It’s generally considered the best time to visit Bolivia, even though the attractions may get more crowded and the prices somewhat higher. The Uyuni Salt Flats are amazing any time of year. However, if you wish to see them covered by water and witness the mirror effect, you should visit during the rainy season (between January and March). Note: the showers may cause transportation difficulties in Uyuni, in the Amazon and some other lowland regions in Bolivia. ♦ Planning and preparation: check out our planning routine here. ♦ Packing: check out the honeymoon adventurers’ ultimate packing list here. 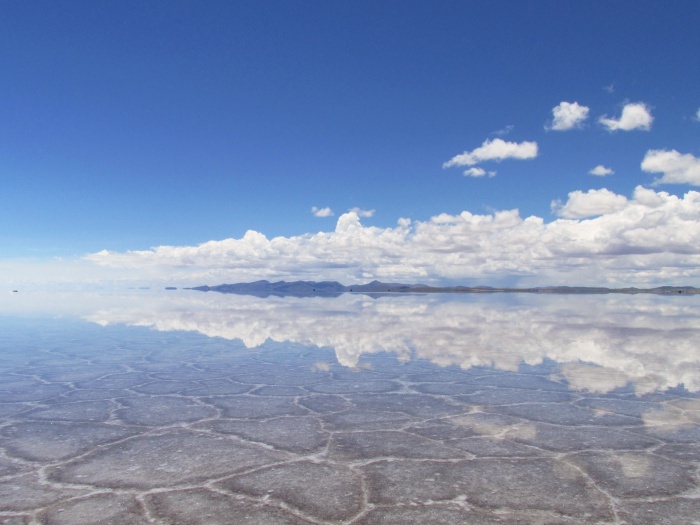 If you are planning on visiting the Uyuni Salt Flats during the rainy season, make sure to wear some flip flops or water boots, warm, waterproof clothes, including a scarf and gloves, a pair of sunglasses and sunscreen (the sun is very strong at the high altitude). Also, take a small backpack, where you can put all your daily essentials, like water and snacks. ♦ For other travel tips check out Travel like a pro, Travel for couples, Honeymoon styles, Honeymoon activities, Responsible tourism, and Travel resources. ♦ Language: There are 37 official languages in Bolivia, including Spanish and 36 indigenous languages. Check out the typical travel vocabulary (in English) here. Learn useful travel phrases in Spanish here. ♦ Visa or other entry requirements: All visitors to Bolivia are required to have a valid travel document. Visa requirements depend on the traveler’s nationality. For more information check out their website. ♦ Electricity standards: The power plug types in Bolivia are A and C, the standard voltage is 115 V and 230 V and the standard frequency is 50 Hz. ♦ Immunization recommendations and requirements: There are no vaccination requirements for visitors to Bolivia. However, it is recommended to get travel vaccines and medicines for tetanus, hepatitis B, typhoid, hepatitis A, rabies, yellow fever, and malaria. To prevent malaria avoid mosquito bites. Currently, Zika virus is a risk in Bolivia. 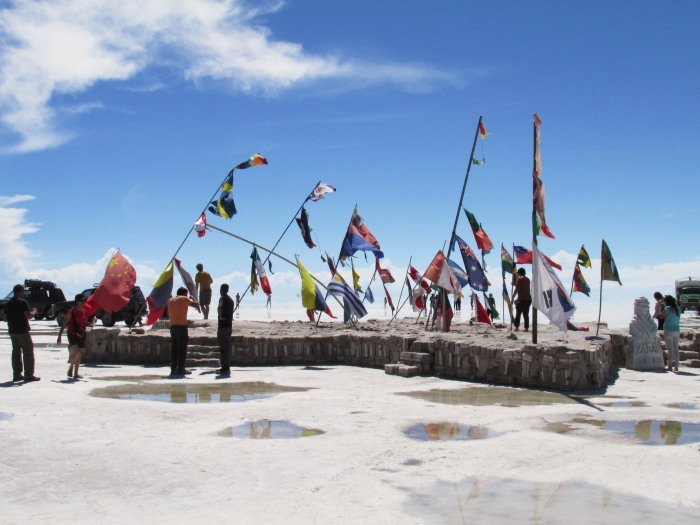 Altitude sickness is a common problem for travelers to Bolivia. Leave your jewelry and other valuable belongings in the hotel safe. Keep your emergency cash apart from the rest of your money. Dress comfortably and carry only the items you will need for the day. Don’t carry a lot of money. Always make sure to lock your room before leaving the hotel. Try to maintain a low profile and do your best to fit in. Carry a travel wallet/money belt/money pouch for carrying money and documents safely. Avoid contact with potential scam artists. Avoid showing off valuable belongings (like cameras) in public. Don’t count your money in public. Keep an eye on your belongings at all times. 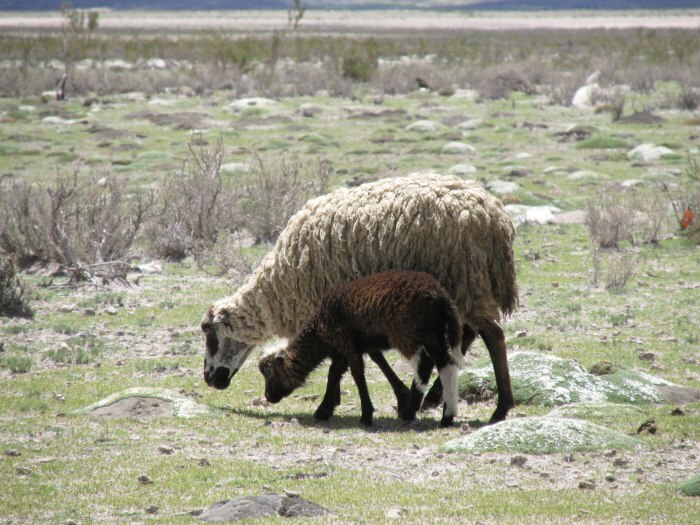 For other common safety concerns in Bolivia, check out Lonely Planet’s safety tips. For common health concerns check out Lonely Planet’s health tips. To stay healthy while traveling, check out our health travel tips. • Tap water in Bolivia is not safe to drink. Drink boiled, bottled or filtered water instead. * Always make sure to reuse a water bottle to cut down on waste. • Bolivia is relatively close to the equator and the sun is very strong, especially in regions with high altitude. Therefore, always make sure to use sunscreen. 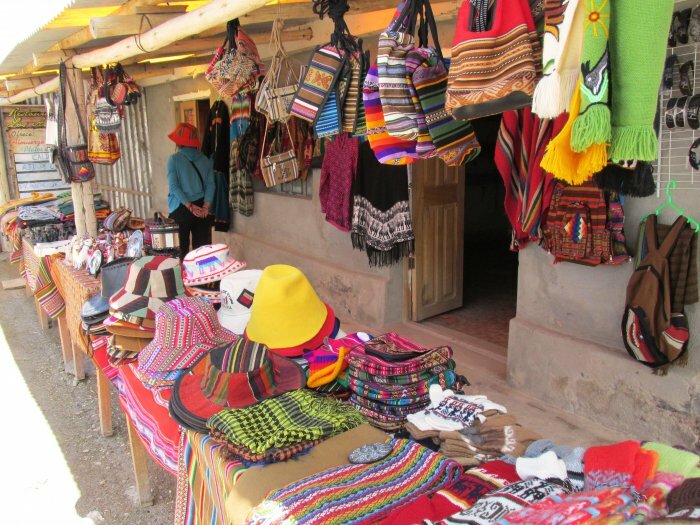 ♦ Local Customs: Bolivians are friendly, generous, polite and quite formal, especially in the highlands. Good manners are highly valued. Address strangers with usted instead of tu. When entering a room, it’s customary to say hello to everyone (buenos días or buenas tardes). When meeting someone personally a friendly handshake is customary; friends kiss on one cheek. Solo female travelers tend to get a lot of male attention. There is no particular dress code required on the streets of Bolivia. Avoid wearing a bikini elsewhere than on the beach. Revealing clothes are generally frowned upon. Always make sure to ask permission before taking someone’s picture. Some people may ask you for a tip in return for taking their photo. Be tactful when discussing local politics, race, religion, and homosexuality. 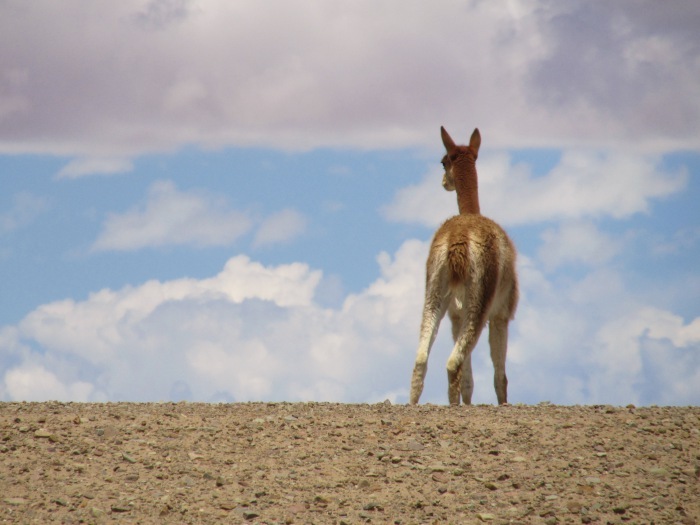 Check out top things to see and do in Bolivia, as well as top romantic experiences and adventures here. It all started a few years ago, when we finally got together after a long and complicated ‘The Notebook like’ childhood love story. After spending the last ten years chasing each other, we soon decided to get married … to close the deal. :) First the insanely romantic engagement, then the whole wedding planning process, and pretty soon we bumped into the big question: WHERE TO GO ON OUR HONEYMOON?